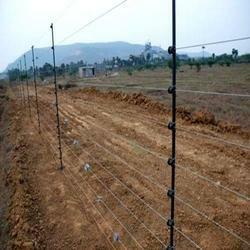 We are into manufacturing and supplying of a wide range of Solar Power Fence, which are known for their efficiency and reasonable rates. 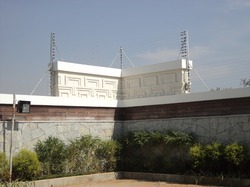 These solar power fencing is easy to install, maintain and widely appreciated in various sectors for its functionality. Solar power fencing is made up of shock durable system where a person will not die and even if anybody stands near to it, it will automatically generate alarm. The product is fabricated using very high quality material purchased from the most reliable vendors of the industry. 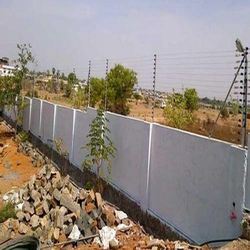 This type of fencing system is widely appreciated for various domestic and commercial applications. Our range is an unmatched, reliable and viable 'Perimeter Security Alternative' for ensuring the maximum protection against intrusion, theft, pilferage and sabotage. With its superior strength, performance, capacity and service life, the range of Solar Fencing made available by us in the market, is widely acclaimed and asked for. The product for reasons of quality maintenance, is manufactured in accordance with the set industry norms and guidelines, utilizing the finest raw materials and modern machines. Further, the range is marked at the most reasonable rate possible. The finest range of Solar Security Fencing made available by us in the market, is widely acclaimed and asked for in the market. Making of this range is done in accordance with the set industry norms and guidelines, utilizing the finest raw materials and modern machines. This ensures the product’s performance and longer service life. 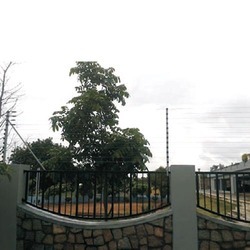 Offered in the market at the most reasonable rate possible, the range of Solar Fencing System made available by us, is widely acclaimed and asked for. Making of this range is done in accordance with the set industry norms and guidelines, its standard of quality never deteriorates. 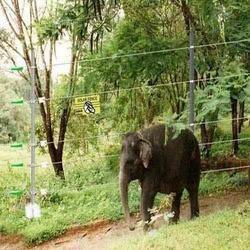 In addition to this, the protect properties and facilities from wild animals. 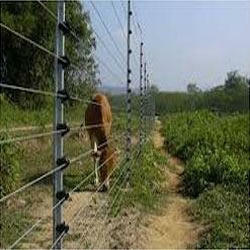 Looking for Solar Power Fence ?